40 Smith & Wesson was developed from the 10mm round the FBI used at the time, and was designed to have less recoil, due to the aggressiveness of the 10mm. It was a great success and is now used all over America. 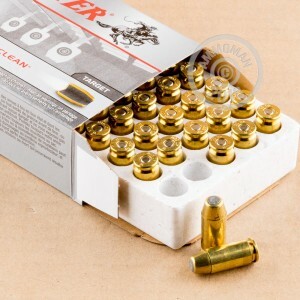 Try some of these clean firing enclosed base bullets today. These rounds are loaded into boxer primed new production brass cases that are re-loadable. Each of these 165 grain Winclean bullets are suitable for indoor range training. Need a reliable round? Look no further. 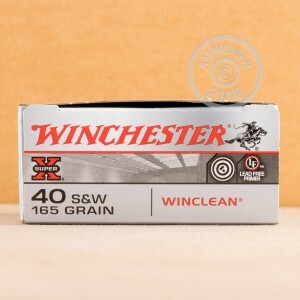 Winchester has been providing shooters and hunters with quality products since 1866.